Carbon Fiber Yacht Cleaning Tools By Yot Stik. IT FLOATS! (unlike the old aluminum beasts that sink to the bottom) We augment the natural buoyancy with internal floatation to assure your gear dose not disappear! Won't scratch or ding your perfect finish. Existing brushes are compatible instantly. Just snap in and get washing. Adjustment detents are clearly marked to make telescopic adjustments easy. Proprietary removable handle and Stik-Stak system enables joining 2 Stiks together for greater reach. Yot-Stik Carbon is the answer to yacht care without damage, fatigue or loss by sinking. 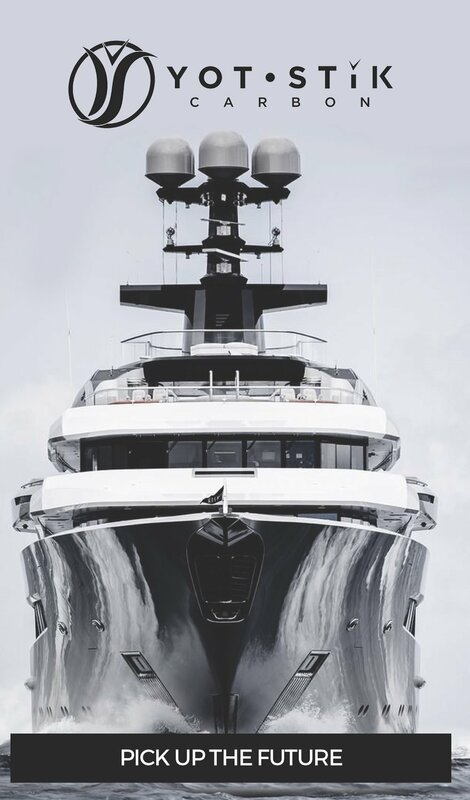 Yachts have achieved amazing design refinements with the advent of better raw material: wood to steel, steel to aluminum, aluminum to fiberglass, fiberglass to kevlar, kevlar to carbon fiber. We've jumped a few missed advents in the yacht cleaning-tool evolution to catch up. The synthesis of the lightest & strongest raw materials and a dedication to end-user design-elegance, creating a truly ultra lightweight, functional and esthetic yacht cleaning tool system.